Galentine’s Day is right around the corner, so we are bringing you some inspo for your gals, whether you’re having a love ya ladies celebration or honoring your favorite bride! 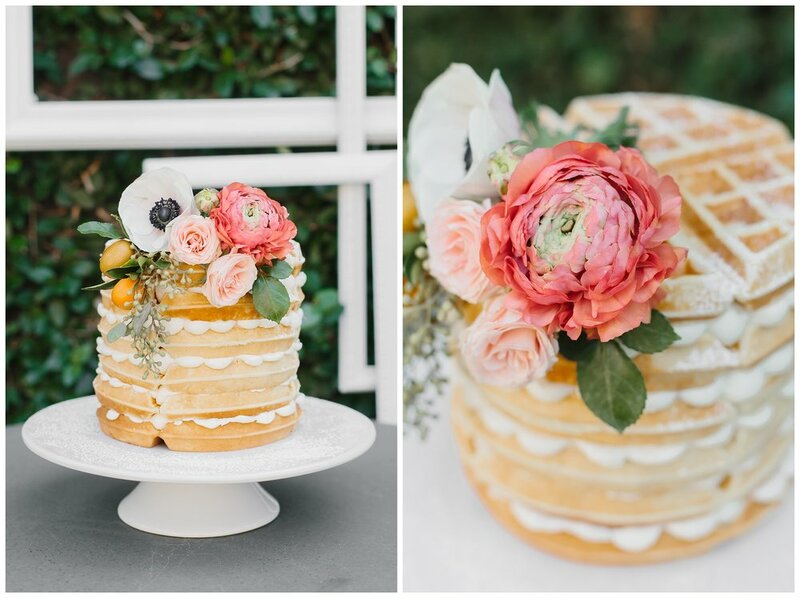 Keep reading for our favorite brunch ideas and some SWOON worthy inspo images from Katie! One of my favorite things to create for any kind of party is a cohesive and intentional aesthetic. The biggest key for this are the details! Even if you are keeping simple, a few details can make your brunch look like a million bucks. I usually create a mood board so I have a guide for a color palette and vibe. Choose a color palette swatch from Pinterest, and build your board around that. You’ll be surprised how quickly things come together simply using consistent colors! If you really want to get fun, send the board to your guests so they can use it to choose their outfits! Fresh florals are an easy way to bring your brunch to life! The hanging display below is to die for, but if you need to keep it simple, create a table runner of greenery from Trader Joe’s, or add individual florals at each place setting. Fresh fruit can also go from a menu item to colorful decor! The grapefruit below pulled together these colors like a champ! Speaking of champ, what’s a brunch without mimosas?! It’s not one, in my opinion. An easy way to create a stunning and eye-catching display is with a mimosa bar. All you need are a couple glass pitchers of different juices, various fruits, and obviously the bubbles! I pulled together some of my favorite mimosa bar inspo (and all things gal pal brunch worthy) for you on our Party Pinterest Board! 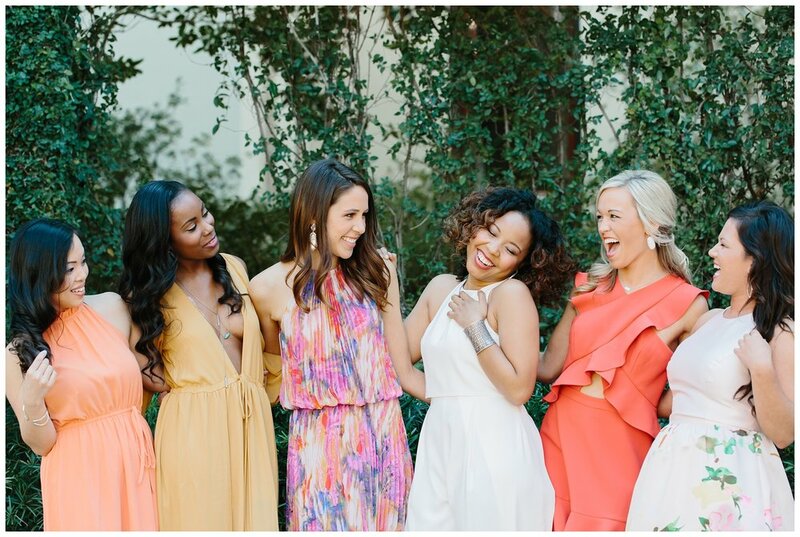 So peruse the ideas, and let tiny donuts and waffles dance around in your head as you enjoy this stunning Savannah Bridal Brunch inspo shoot from Katie!